With a heart attack, every minute counts. 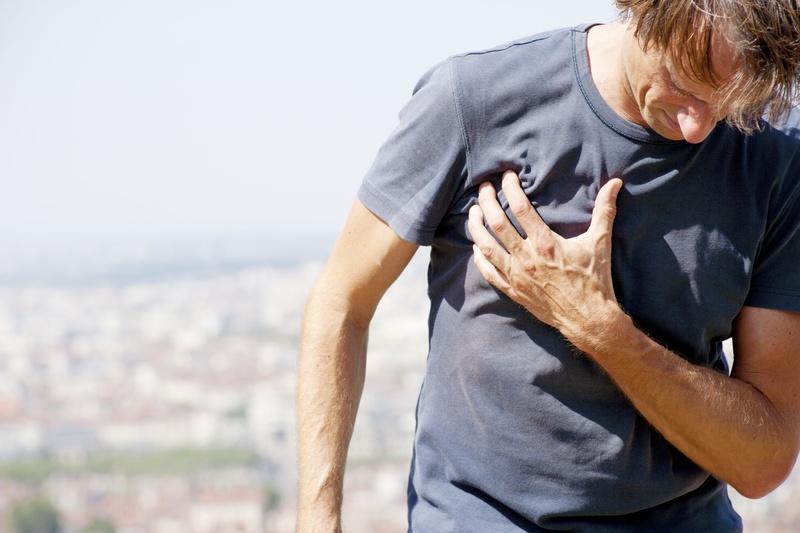 Each year, around 54,000 Australians suffer a heart attack - this equates to one every 9 minutes. Dr Yohan Nathan, Medibank Medical Advisor, says knowing the warning signs of a heart attack could save your life. According to Dr Nathan, the warning signs differ from person to person. “Symptoms may vary between individuals and someone who has already had a heart attack may have different symptoms the second time,” he says. You may have just one of these symptoms, or you may have a combination of them. Symptoms can come on suddenly or develop over minutes and get progressively worse. Symptoms usually last for at least 10 minutes. Discomfort or pain in the centre of your chest. This can often feel like a heaviness, tightness or pressure. People who have had a heart attack have commonly described it as like “an elephant sitting on my chest”, “a belt that’s been tightened around my chest” or “bad indigestion”. The discomfort may spread to different parts of your upper body. Discomfort in your upper body (arm/s, shoulder/s, neck, jaw or back). You may have a choking feeling in your throat. Your arms may feel heavy or useless. Some people have also described feeling generally unwell or “not quite right”. 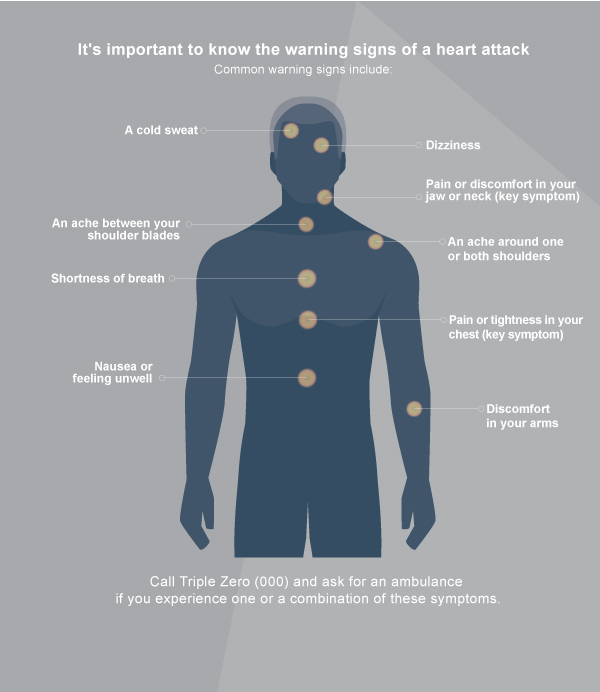 If you have warning signs of heart attack that are severe, get worse quickly or last more than 10 minutes, call triple zero (000) immediately and ask for an ambulance. For more information about the warning signs of heart attack, talk to your doctor.